The CTCB has a number of development programmes in place – the Young Male Dancer Development Programme, The Graduate Programme and the Audience Development Programme, as well as a liaison with the Amy Biehl Foundation, to teach young dancers from disadvantaged communities. We are proudly twinned with ZAMA, run by former dancers Andrew Warth and Leanne Voysey, and one of the training programmes in the Western Cape. The aim of the Schools Outreach Programme is to visit Primary and Secondary schools with an entertaining, educational and skills-based programme, offering subject material for learners and educators and developing an understanding and appreciation for dance. The programme continues to build on foundations established over 40 years ago. In the last 20 years, the programme has reached over 320,000 people. We have an exciting faculty of teachers, all of whom are CTCB professionals. At the moment, we only offer Male Development classes, but we are working towards adding a range of other classes, including adult classes, and Beginners Ballet classes for little ones. Our Male Development Training Programme, established in 2000 by Keith Mackintosh, seeks to encourage and empower young male dancers in the study of dance and to develop the skills required to become a professional dancer. Weekly Saturday classes are held in the Company studios and, depending on age and level of training, are divided between a 09h00 class for the youngest 7-12 yrs and a 10h00 class for more advanced 12-16 yrs. These are suggested age ranges; please enquire if you have any questions. Teachers are invited to send prospective recruits for assessment and to enrol in this programme. The programme aims to complement and enhance the work being carried out by teachers in the wider community and in no way impact on their input. If you have a prospective candidate you would like to enter for this programme please contact us. Run by former dancers with the CTCB, Andrew Warth and Leanne Voysey, this is our official “twinned” institution. Our dancers regularly interact with ZAMA to introduce young children to the thrills of professional performance. In a partnership with the Amy Biehl Foundation, the CTCB teaches ballet to children from the area of Gugulethu township. These classes are taught by members of the CTCB at the ZAMA Dance Studios. The programme provides opportunities for learners and educators from historically disadvantaged communities to visit the Company for a behind-the-scenes-glimpse into the daily life of a professional dancer and the environment in which they work and aims to motivate and inspire those attending. Workshops, arts and culture, forums, and demonstrations are given throughout the year with the aim of extending the knowledge and appreciation of the art form. The aim of this programme is to broaden and increase our audience base by making attendance at performances affordable and accessible to those in the wider community as well as Dance Studios and especially those Primary Schools visited through the Schools Outreach programme. Since the inception of this programme, 36,824 learners and educators have attended performances, many for the first time. The CTCB has also provided free performances for 24,217 people from sub-economic homes, institutions, old age homes, places of safety and farm schools. This programme provides an incentive to learners in their search for a career choice. Participants spend time with the Company ‘job shadowing’ their chosen subject. Immediately preceding the opening of a new production, members of the public can watch the CTCB doing class in preparation for a morning’s rehearsal of the production, supervised by the choreographer or the ballet mistress or master. Several lecture-demonstrations are presented annually at schools and for the support group, friends @ Cape Town City Ballet (inc Balletomanes), reaching over 2,000 learners and adults. Open Day annually showcases the work of the Company, to the wider community, through an event that is open and accessible to all. The wonderfully successful Budding Ballerina Day, organised for us by local teacher, Natalie Swanepoel, sees the whole company interacting with over 120 prospective ballerinas between the ages of 6 and 11 years. For dancers between the ages of 11 and 16, this initiative teaches repertoire from forthcoming productions and allows successful dancers to perform with the CTCB for an invited audience at the final dress rehearsal of the relevant production. This award identifies a South African dancer who is regarded as an emerging talent and who is likely to become a significant member of the Cape Town City Ballet. The Toby Fine Ballet Fund Honoree will receive a one-time monetary award and will be supported financially for one year, while developing his or her skills within the company. Cape Town born Toby Fine’s formative ballet training was in Johannesburg. 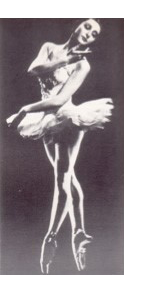 Among the many ballet awards she received was the Adeline Gene Award for the highest marks in the British Empire. A highlight of her early career was dancing the Queen of the Willis to the Alicia Markova and Anton Dolin Giselle when these two great British dancers visited South Africa. Dolin taught Toby the role of Giselle which she performed subsequently. Toby was awarded a bursary to study in London with the renowned teacher, Vera Volkova. It was at a Volkova class that the esteemed George Balanchine chose Toby to join his New York City Ballet that was performing at Covent Garden.